A safe hunt begins at home by always observing fundamentals of firearm safety. 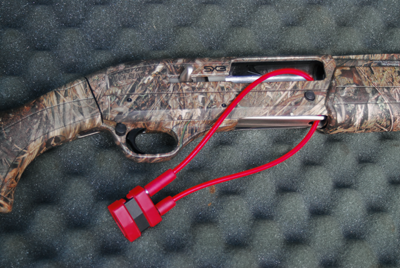 A responsible hunter keeps firearms locked in a secure place with ammunition always stored separately. A gun safe or locking gun cabinet is the safest place to store firearms. If a gun safe or locking gun cabinet is not available, firearms can be stored away in a case, with the addition of a lock that disables the action or with a trigger lock that completely encases and secures the trigger. 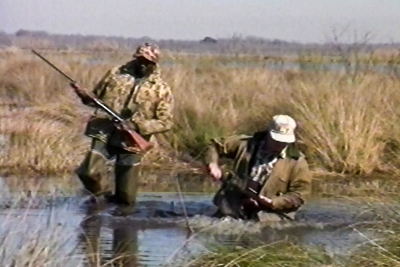 Many times, such as with duck hunting, you may be hunting in wet and muddy terrain. 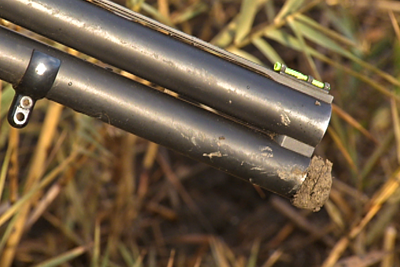 If you happen to trip and get mud or dirt lodged in your barrel, you must remove it immediately before continuing to hunt. First point the muzzle in a safe direction. Unload the firearm, and then clean from the breech to push the obstruction out of the muzzle. Check the barrel and the action to make sure both are clear. 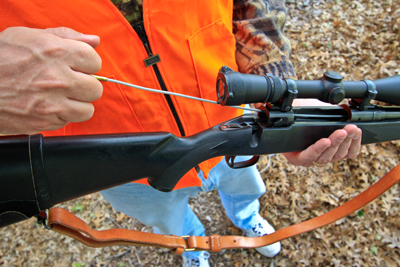 If you cannot completely remove the obstacle, you must stop hunting with that firearm until it can be properly cleaned. 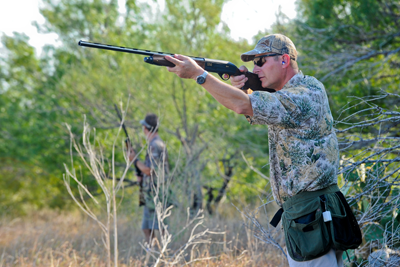 The “Safe Zone-of-Fire” is an area where a hunter can shoot safely. 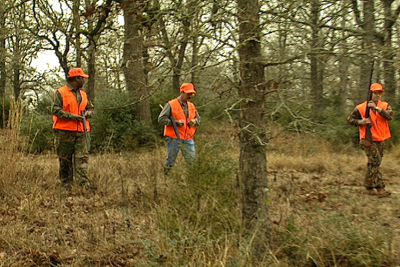 Establishing safe zones is usually associated when hunting in a group. Before starting the hunt, assign each hunter a safe zone-of-fire. 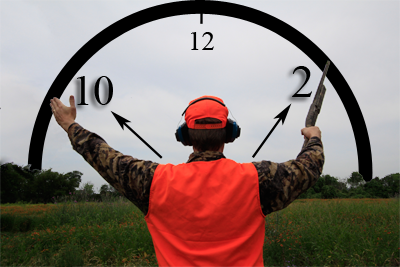 If you imagine a clock, and you are standing facing 12 o’clock, a standard safe zone-of-fire for one person would be from 10 o’clock, to 2 o’clock. When walking in a group where game can flush in unpredictable directions, it is imperative that hunters respect their safe zones-of-fire. 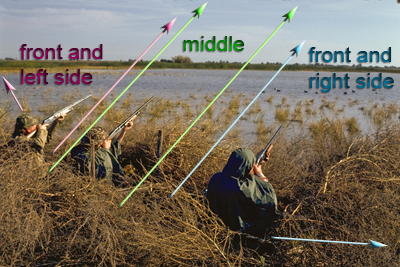 Hunters should pass on any shots where game flushes between and behind the group. 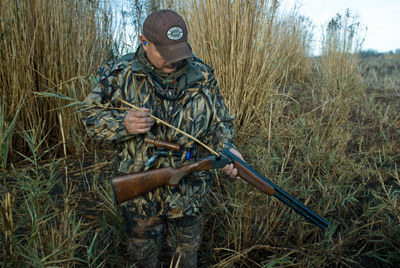 Depending on what type of game you are hunting and variations in terrain and hunting strategy, you may have to adjust and communicate your safe zones-of-fire as the hunt progresses. Watch a video on: Wing Shooting Safety.